The fall of Tunisia’s regime headed by Zine El Abidine Ben Alican have serious repercussions, said Israeli Deputy Prime Minister Silvan Shalom. 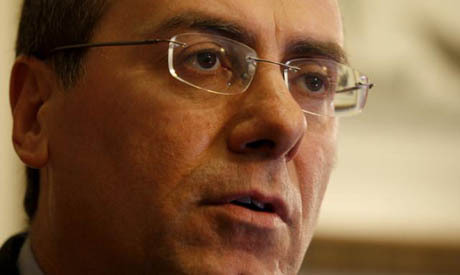 In an interview on Israeli radio Friday night, Shalom said that he comes from a family of Tunisian immigrants. Shalom added that if regimes neighbouring the Israeli state were replaced by democratic systems, Israeli national security might significantly be threatened. The new systems would defend or adopt agendas that are inherently opposed to Israeli national security, he said. The deputy indicated that Israel and most of the Arab regimes have a common interest in fighting what he referred to as “Islamic fundamentalism” and its “radical” organisations which threaten Israel. This threat, he added, is the reason behind much of the direct and indirect intelligence and security coordination between Israel and the Arab regimes. Shalom emphasised that a democratic Arab world would end this present allegiance, because a democratic system would be governed by a public generally opposed to Israel. Shalom added that if regimes neighbouring the Israeli state were replaced by democratic systems, Israeli national security might significantly be threatened. Shalom, your dream is going to be nightmares, as Arab countries around you will become democratic. Your days are over. When democratic countries will propup, they will not deal with you, you wont get any business, and air passage, and you will be isolated. bye bye Israel. Hasn't Jewish religious fundamentalism been a threat to world stability and peace? This is so rich coming from the country that is not only a threat to its neighbour but is systematically devouring it. Why do the Israelis have such a sense of entitlement? Unbelievable - Israel always presents itself as the sole "democracy" in the Middle East, and leverages heavily off that fact (esepcially via the US, which also hypocritically says that it wants to spread democarcy in the Kiddel East). Now that democracy (as opposed to autocracy, which Israel itself clearly favours, both at home and abroad) might actually be happening, it's actually a threat to Israel and must be stopped! Remember just like those democratic elections in Palestine where Hamas got most of the votes??? Let's say it all together now: "hyp-oc-risy"
The Arab Street has become extremely radicalized and vicious against Israel because it is free to do so. Most are too young to remember that Sadat made peace because the Egyptians were tired of death and destruction caused by war, When Hezbollah rockets Israel in the next war and Israel reduces Damascus to rubble in retaliation, then we will test the resolve of the Syrian people's anti-Zionism. Israel fights out of necessity, the Arabs by choice. When war is optional by not required, those who experience it will quickly wish they had no part of it. Paul, your comments the Egyptians were tired of death and destruction caused by Israel, which Israel started. When Hezbollah rockets Israel in the next war, it will not piece of cake. It will har rock cafe. Israel is boasting on the advance weaponary it got from the US and its cohorts EU you blackmail. Israel's days are numbered. This time it will be so difficults and long and hard for Israel, that it will repent sincerely. Shalom added that if regimes neighbouring the Israeli state were replaced by democratic systems, Israeli national security might significantly be threatened. "Threatened by democracy" is a very interesting statement. Maybe we should continue to live under authoritarian rule, not allowed to speak our minds, our children risking arrest and torture if they ever choose to become citizens who participate in the political life of their country...maybe we should ceaze to exist so that Israel can feel safe. Time to reap what you have sown. They will be coalition governments that will collapse in times of domestic crisis or war. An example is the American model of exporting democracy Japan, Iraq, Germany all coalition governments that are volatile. It makes them less of a threat. If Israel is truly a democracy like it claims, then it should welcome more democracies in the region, not discourage them.